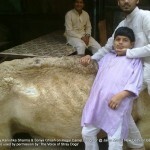 As affluence in India rises more and more larger animals such as bovines, camels and increasigly horses are slaughtered to show the ‘status ‘ of the person making the sacrifice. 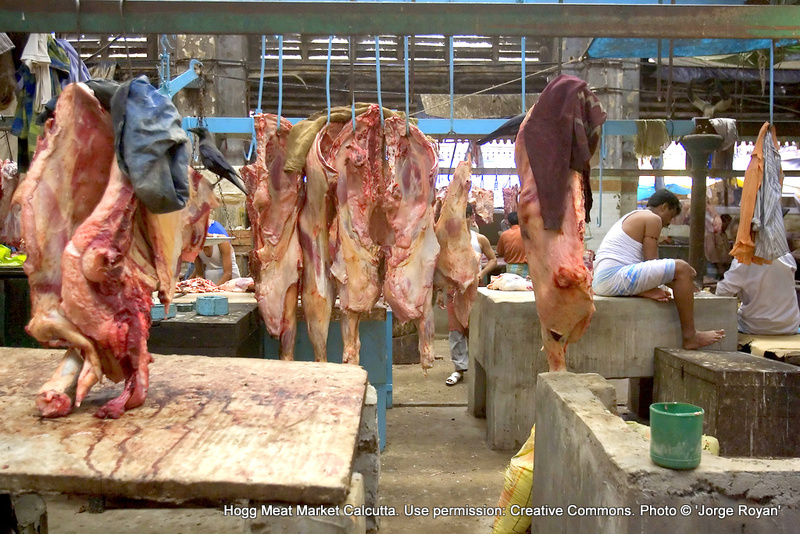 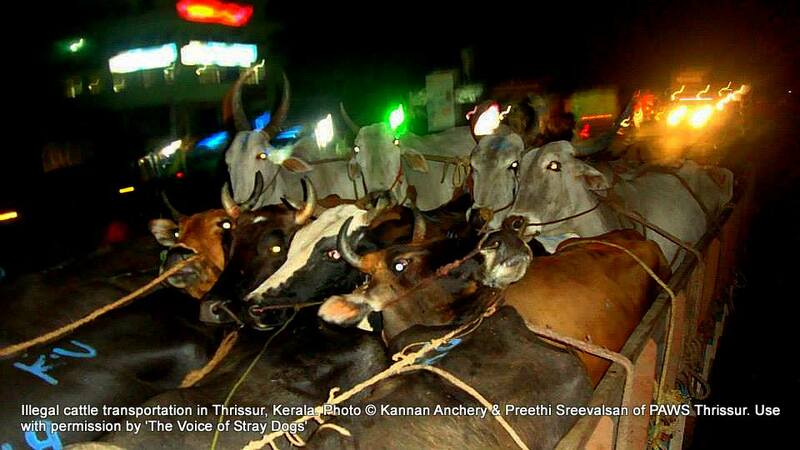 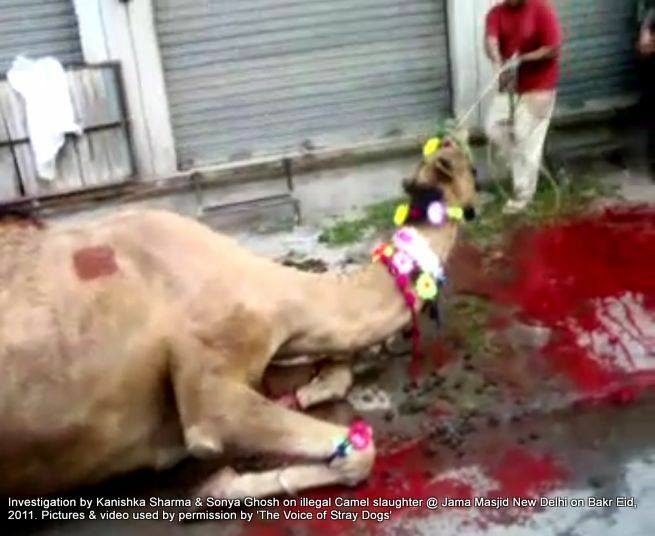 Slaughter was symbolic and never meant to be a status parade that it has become. 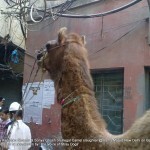 Even on Bakr Eid slaughter of animals other than goats or sheep is not allowed under Indian law. 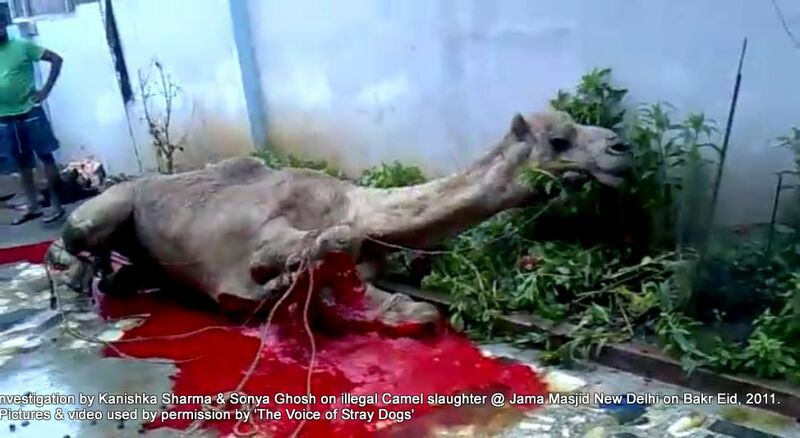 No slaughter is allowed other than at a slaughter house under legal procedure and an exception is provided for ritual slaughter on Eid but can only be provided for sheep & goat. 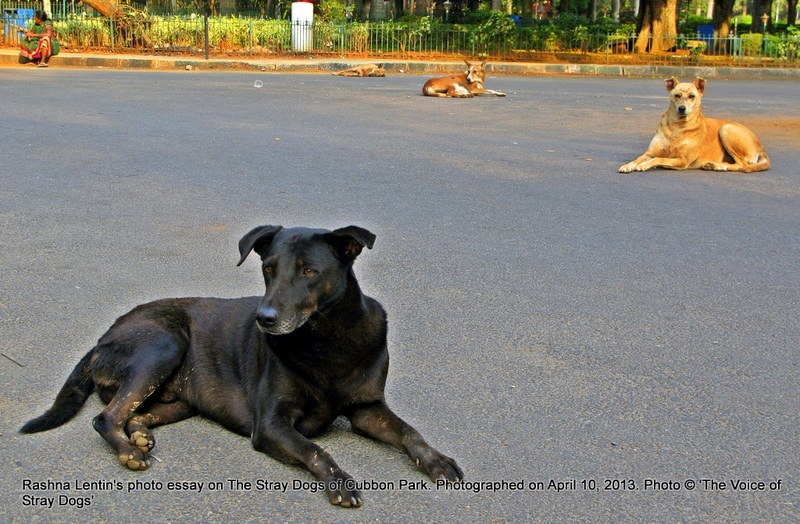 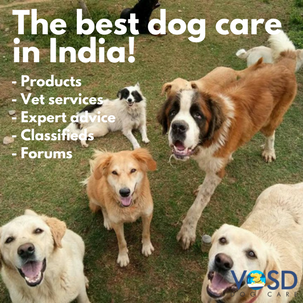 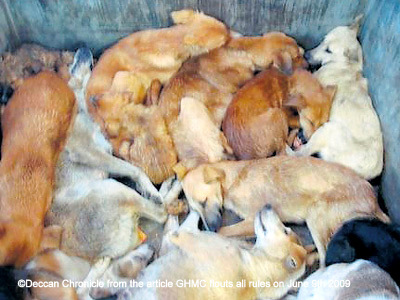 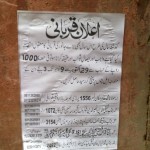 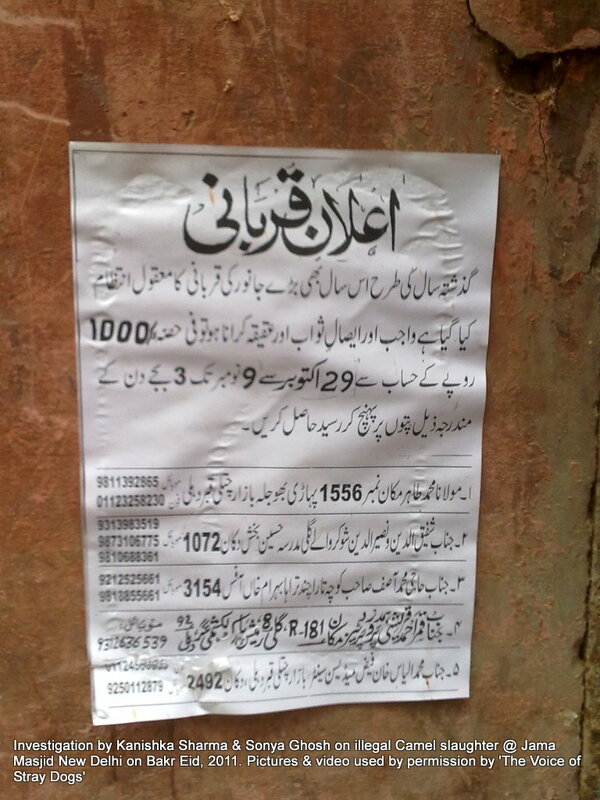 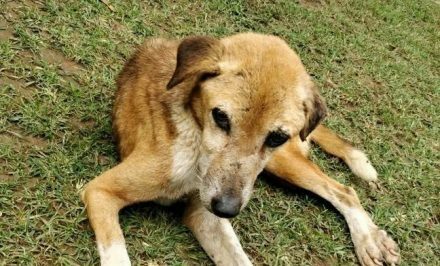 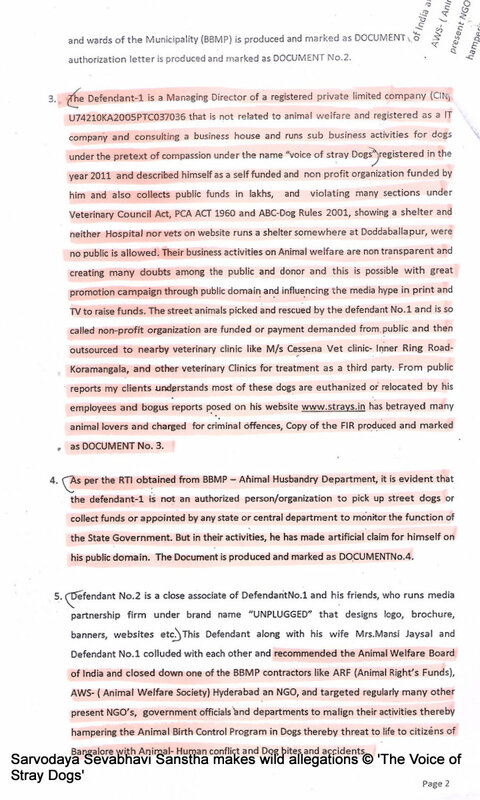 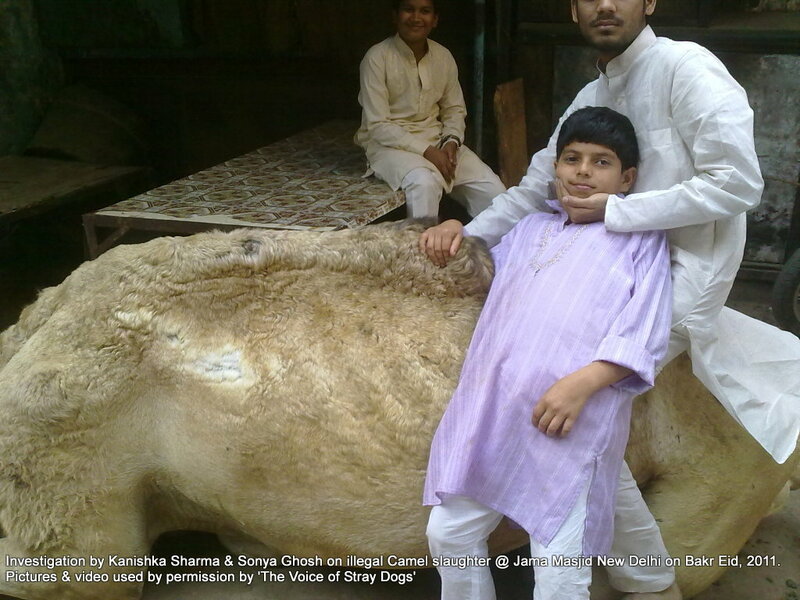 You can see The Voice of Stray Dogs‘ analysis of legal cases and judgments on slaughter of cow & camels on Bakr Eid here. 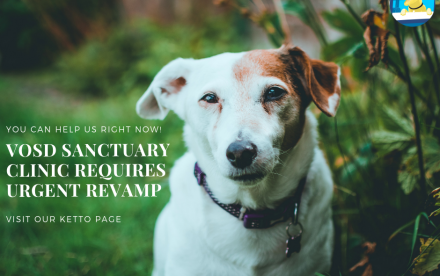 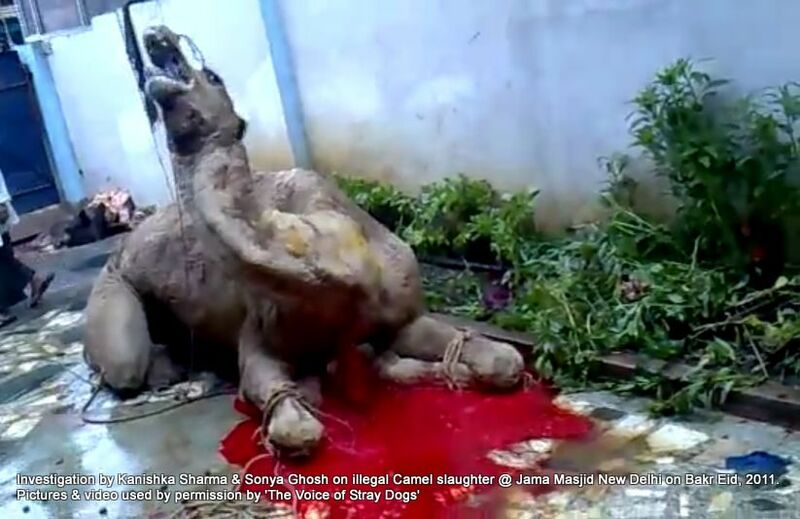 However it is increasingly common to see the ‘spectacle’ of animals slaughtered publicly for the amusement of those witnessing the slaughter. 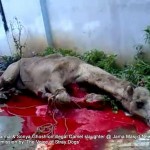 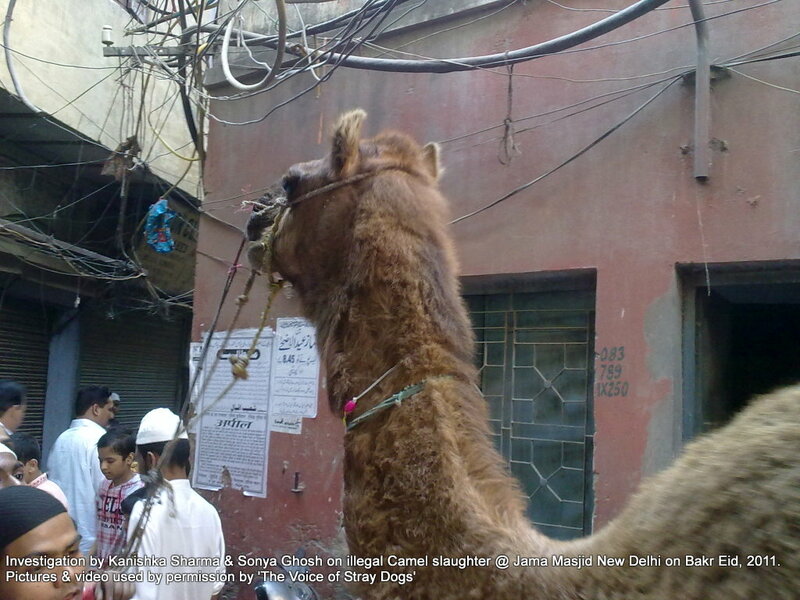 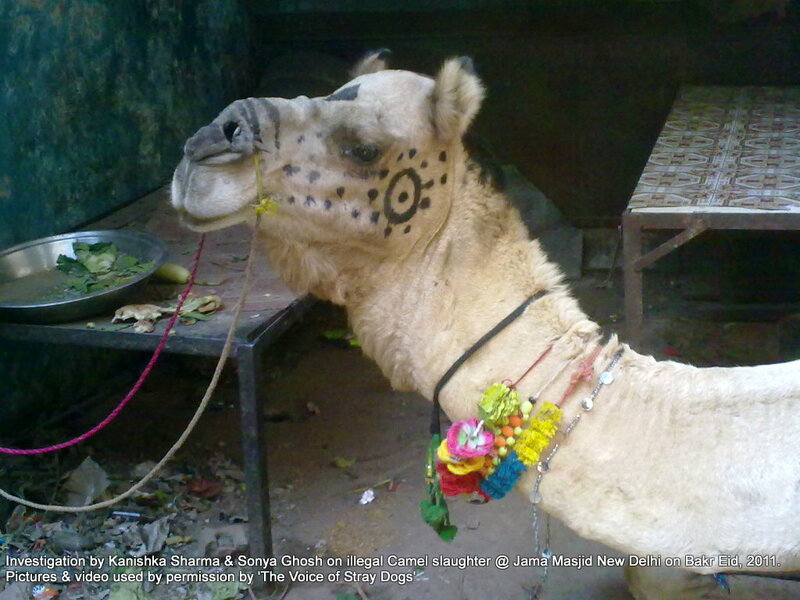 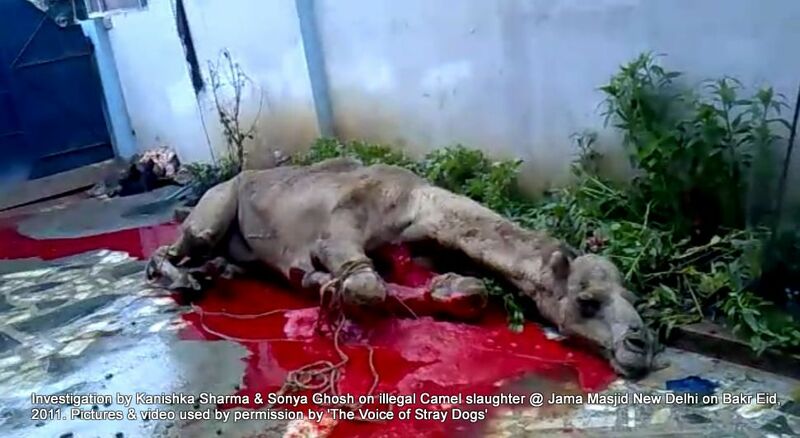 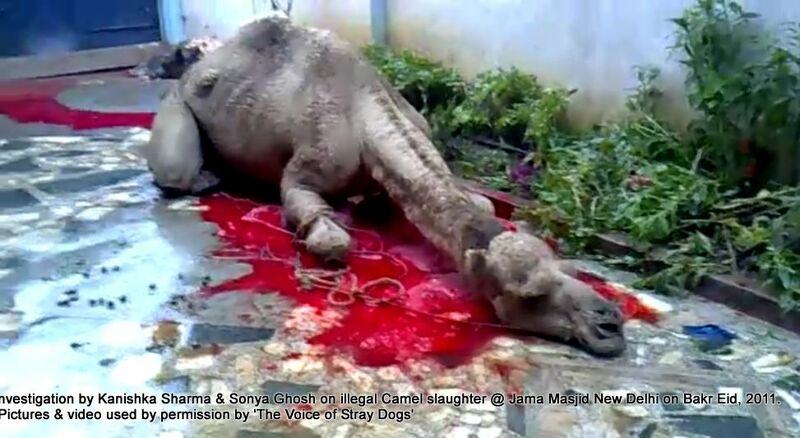 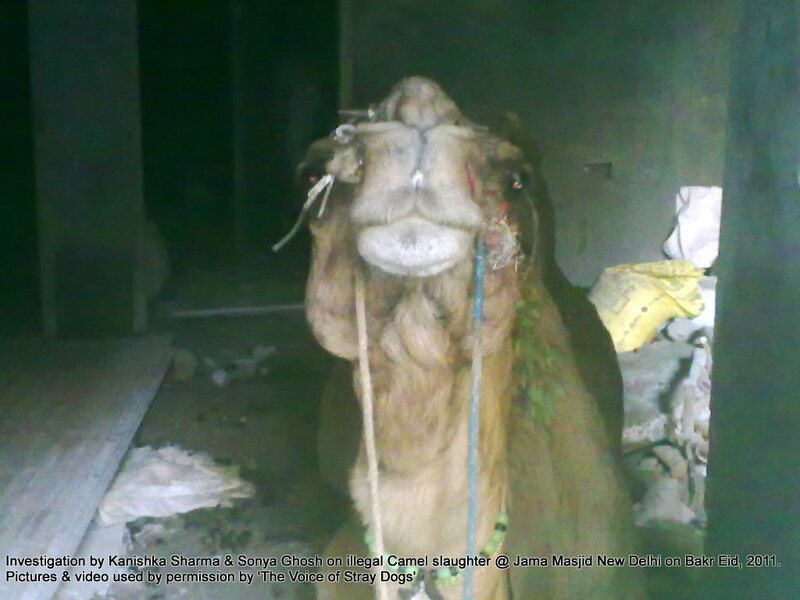 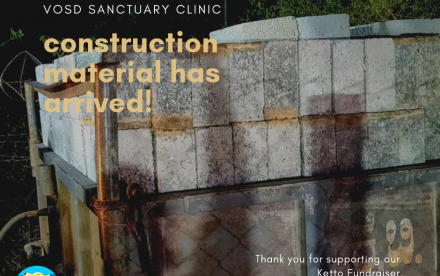 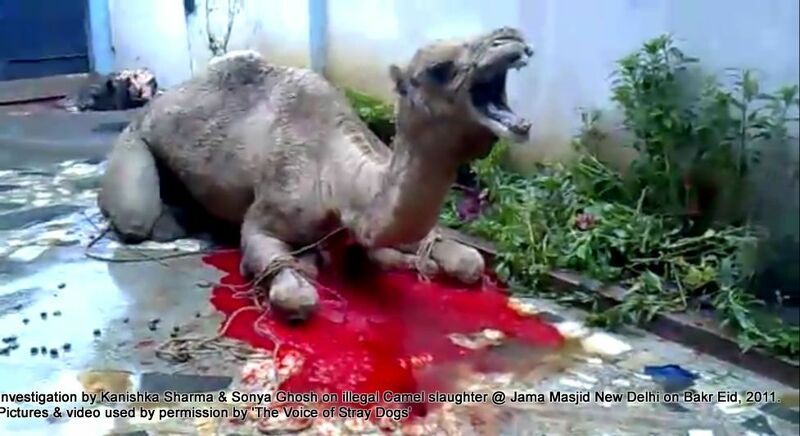 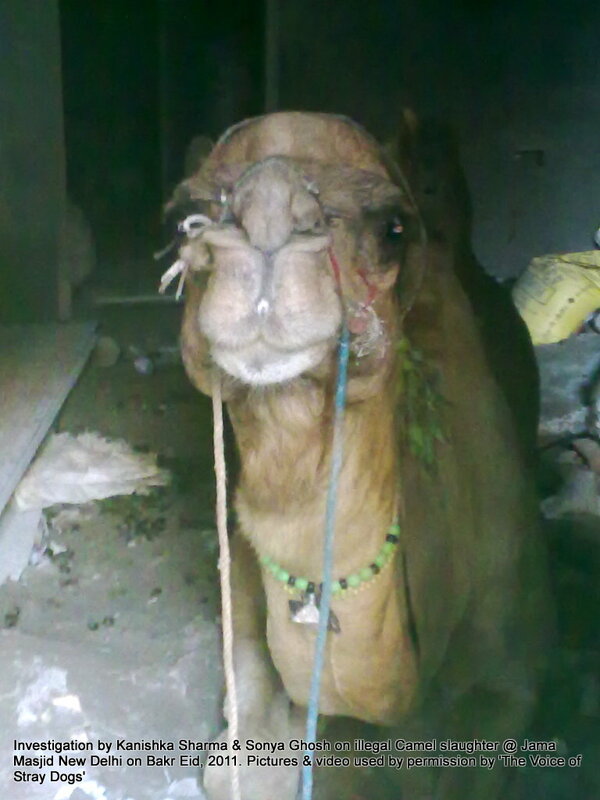 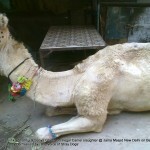 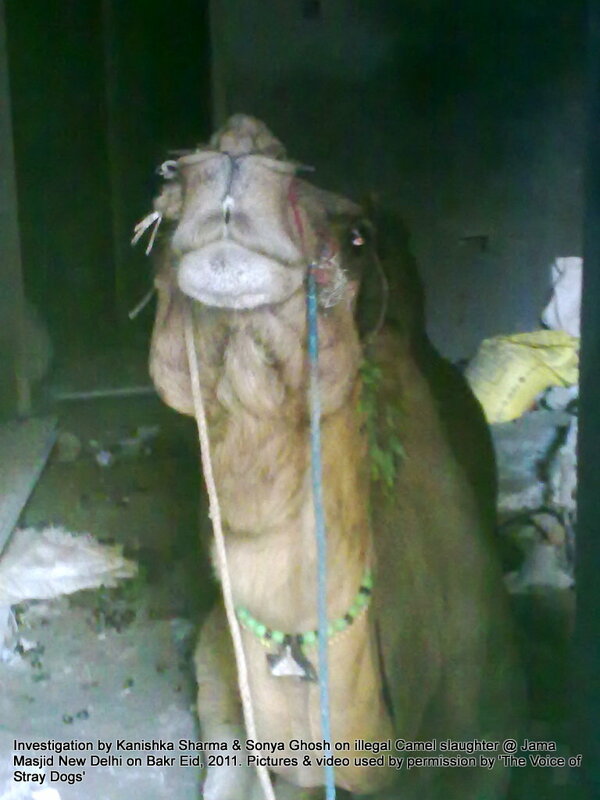 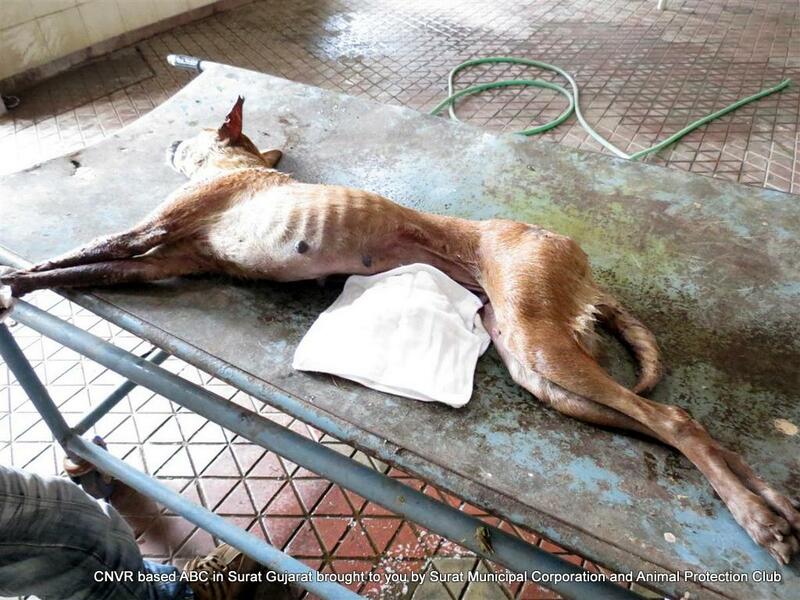 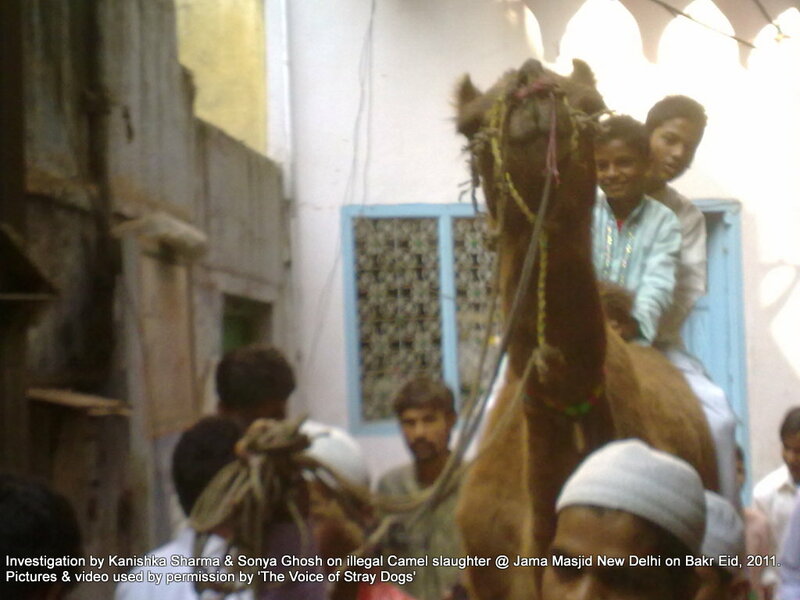 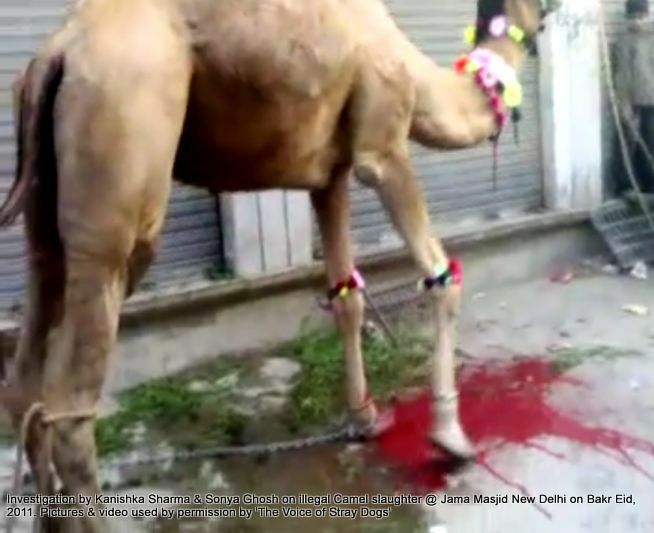 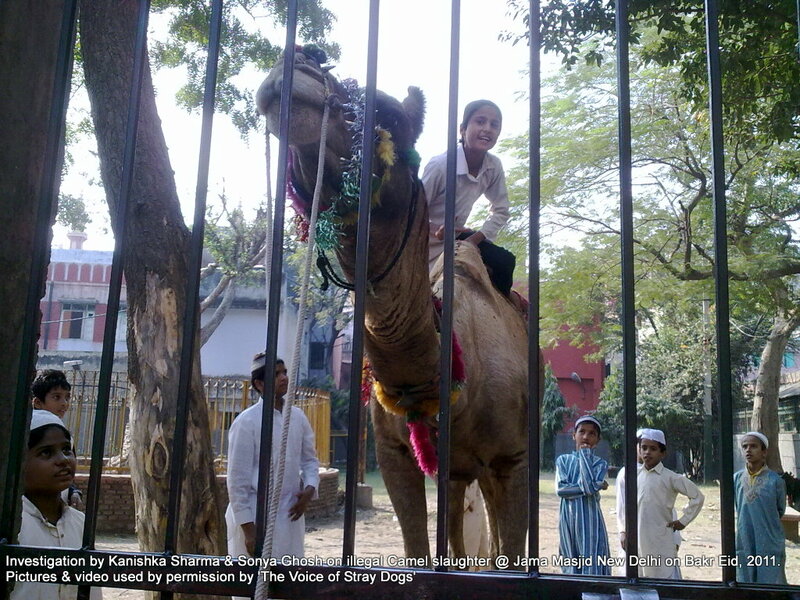 These pictures and videos are from the investigation on illegal camel slaughter in public places by Kanishka Sharma and Sonya Ghosh. 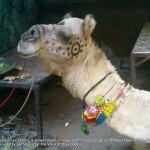 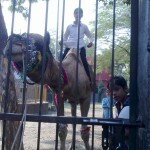 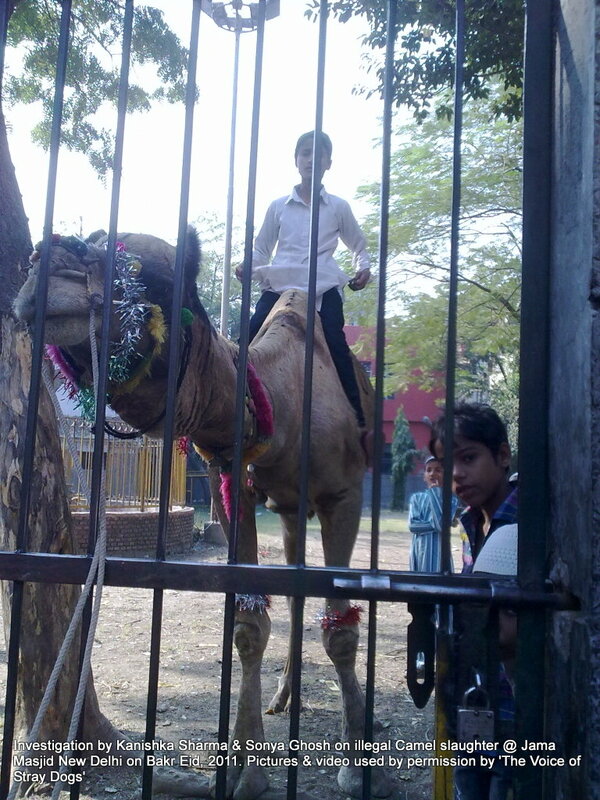 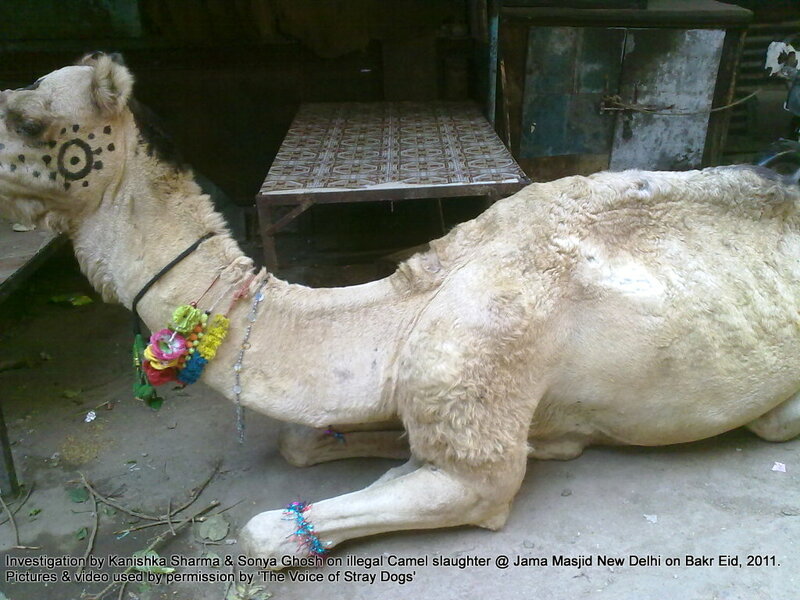 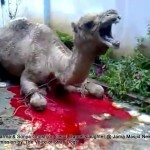 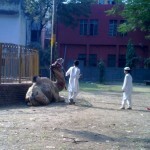 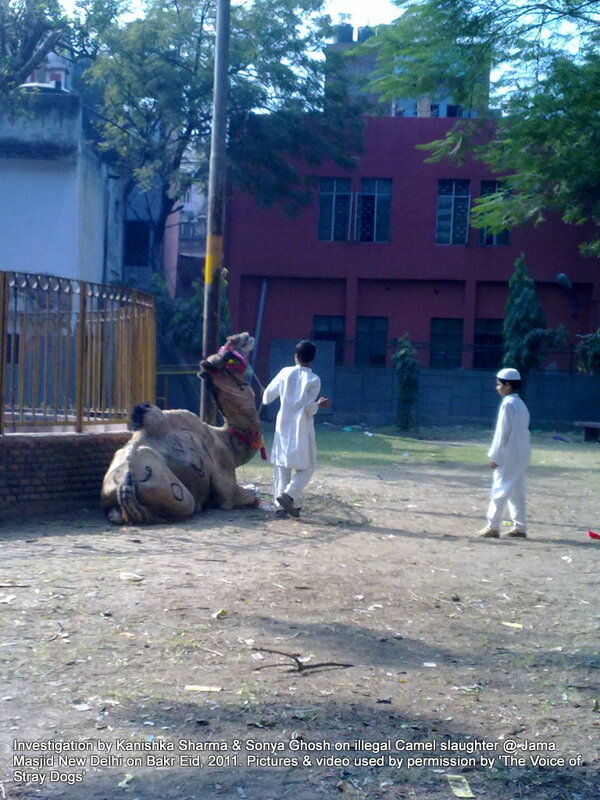 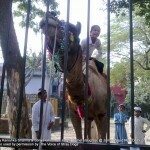 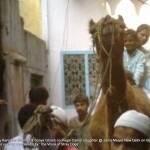 These camel was slaughtered near Jama Masjid in New Delhi on Bakr Eid 2011. 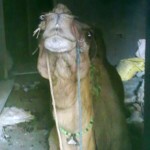 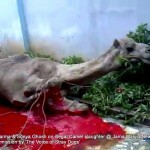 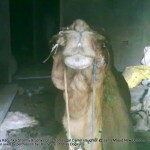 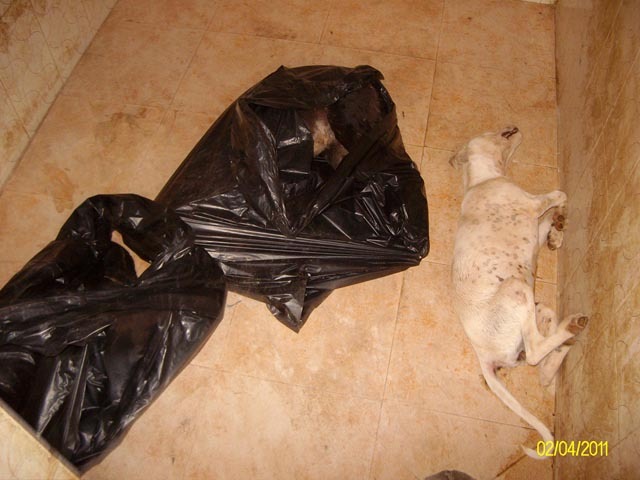 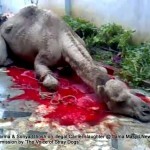 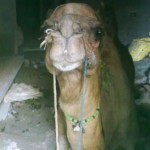 The photo’s are of the the 2 camels the day before, and then as they were sacrificed. 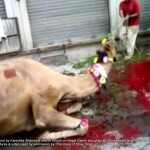 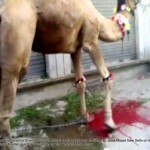 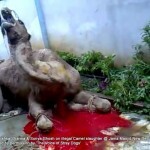 The video’s are of the camels as they were sacrificed.